I have a Minor in German, B.S. in Pschology, and Masters in Counseling Psychology with a minor in Organizational Developemnt, yet my true credentials in my life as a mom to 4 lifeschooled, homebirthed children and married to a wonderful school teacher. My newest book, Understanding Morning Sickness as a Gift, is a #1 New Release and is soon to be reviewed in Midwifery Today. I began writing six years ago in November of 2011 during National Novel Writing Month with a commitment of just 30 minutes a day during that month. Then I picked up writing again the following November, committing to just 30 minutes a day and pub;lished the book in 2016. I always wrote for at least 30 minutes, and sometimes, when the writing came easily, I kept writing for an hour. Not until after I published my first article in Elephant Journal. I had already self-published a book, but somehow did not consider myself a writer and now I cannot believe I ever did anything elese. My second daughter screamed non-stop for almost 3 years. She finally stopped crying and transformed from the most difficult child ever to the most peaceful, easy-going one, after our family accepted that she was expressing my husband’s unexpressed feelings, and he learned how to authentically express his feelings. Fiona: How did you come up with the title? . The titles of my books are to support the idea of transforming adversity into gifts. 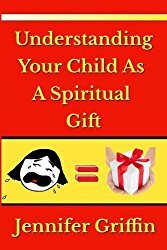 My first book, Understanding Your Child as a Spiritual Gift, http://mybook.to/spiritualgiftxo, is about how tantrums are manifestations of a parent’s unexpressed feelings and “a gift waiting to be opened,” not a behavior to be controlled. Within the behavior is an opportunity and reminder for the parent to express themselves authentically. This book came out of my experience with my constantly screaming second child and with the application of this theory, she is now such a sweet and grounded child. 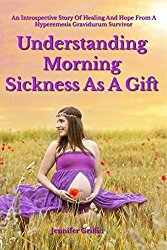 The second book, Understanding Morning Sickness as a Gift, http://mybook.to/HG, is also an inspiring healing guide focused on my trials with severe morning sickness, called hyperemesis gravidarum, and how by examining my perfectionism and unresolved illness, I was able to overcome this bewildering and debilitating condition. I like to write raw, honest accounts of our inner and often unseen worlds and how that creates challenges when not authentically expressed, while providing DIY healing techniques that anyone can you at home to transform their adversities. My books are a combination of a memoir/healing guide. My books are all non-fiction about my life and life of parents around me. No, I used to travel a lot before kids and think it has opened my mind tremendously and influences my writing. Now I am very happy to write from home and stay very local. I am the happiest when I am less than five miles from home. Adversity is a gift and that empowering yourself to heal with DIY techniques is so important. Fiona: Are there any new authors that have grasped your interest?Who is your favorite writer, and what is it about their work that really strikes you? I love that Kurt Vonnegut and Douglas Coupland tell you who they are in their writings and share their inner process. John Green is my favourite young adult writer because he captures the inner minds of teenage boys and creates such engaging female characters. 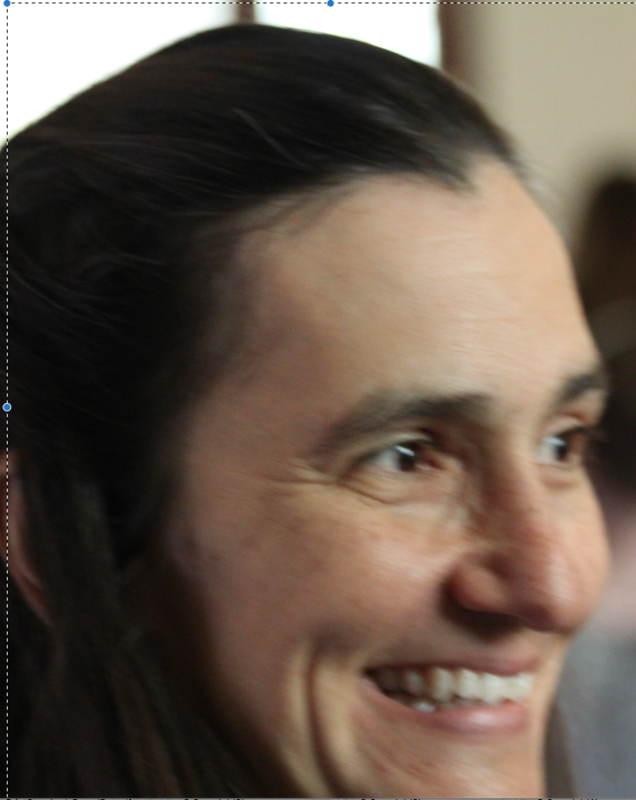 My editor Louise Ash has been an amazing resource, giving endless support and building my confidence. Yes, I see it as my next career as I finish raising my children. I would change the front and back covers of my first book. No pressing changes for my second book. How writing from your soul is so much easier. Since I do not watch much television or film, this is a hard question to answer. Just commit to writing a certain amount each day for a specific time period-just 30 minutes a day for 30 days can produce a lot. Find what your souls is screaming to do. No, but I used to take out stacks every Saturday at the library because my parents allowed me to get as many as I wanted. I do remember my first term paper was on the Catcher in the Rye by J.D. Salinger. I recently reread it and was surprised how much I still loved it. I think this may be because I feel so connected to my teenage years these days as I raise my two teenage daughters and somewhat relive the wonder of those raw and intimate times. My oldest daughter’s impersonations and humor. I cry out of joy/touching moments the most. I would love to hangout with my grandma more. We were born on the same day, and she died before I had any children and I would love for her to meet them. Urban farming and figuring out how to DIY as much as possible. I do not enjoy films or TV in general and take a few years to watch a T.V. show. I did enjoy Parenthood and sometimes watch the Isralei show Srugim. Sprouted walnuts with currants, raspberry kombucha, purple and 70’s and 80’s music. Relax in hot springs and laugh with my grandchildren. Embrace your Child as a Gift and Find What Your Soul is Screaming to Do.